The Great Eggcase Hunt ID guide is now available at your fingertips! If you’re strolling along the beach and discover a mermaid’s purse (the eggcase of a shark, skate or ray), you can use the new Shark Trust app to identify what you’ve found, learn about the species it came from and report your find. This citizen science project has been running for 12 years and its database now contains more than 74,000 records, all of which help to piece together a picture of shark, skate and ray species diversity and distribution around the British coast. 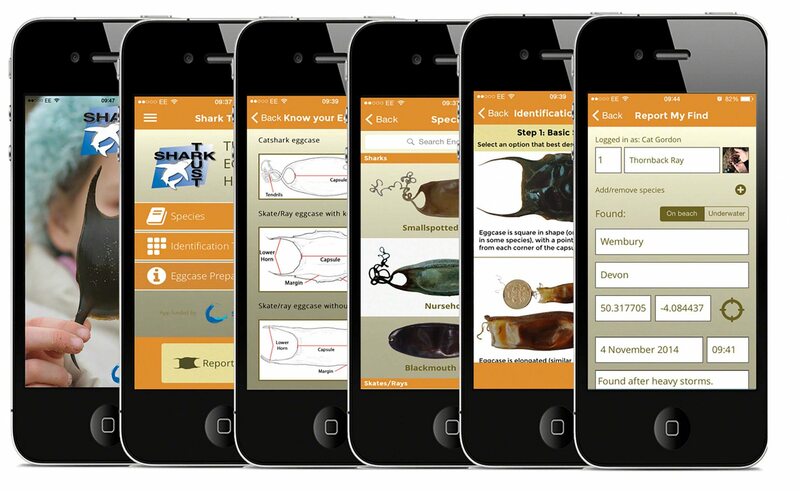 The new dedicated smartphone app provides tips on how to find eggcases, information about egg-laying sharks, skates and rays, a step-by-step identification tool and a recording form that enables you to upload photos and record the GPS location. Although the ID guide is for British species, if you’re eggcase hunting further afield, then please still report your finds. The app is currently available for Apple devices and an Android version will be launched soon.